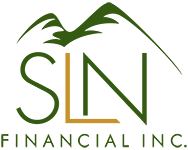 December 13, 2017 - Save More Money With These Tips | SLN Financial, Inc.
Financial information can often include confusing industry jargon and lingo. But understanding your financial details can help you use better judgment to make decisions. We are continuing our guide to help you get a hold of common financial phrases. From definitions associated with life insurance to annuities, use this glossary to find deeper clarity in your financial life. Accumulation Period: The timeframe when your assets grow. With a deferred annuity, this represents the time when you add money to your annuity and build up your account’s value. Allocated Benefits: The guaranteed retirement income people receive from a defined-benefit retirement plan backed by the insurance carrier. This term can also generally refer to the services any contract will cover and pay for, up to the maximum amount. Benefit Period: The amount of time a company will pay a benefit to the policyholder. Conversion Privilege: An insurance policy that allows the insured person to change their policies without requiring a physical exam. Contingent Beneficiary: The person officially named by the contract owner to receive benefits should the person first assigned not receive the inheritance. This occurs when the insured died, cannot be located, or refused the inheritance. Elimination Period: The time you first have an injury or illness and have to pay for your benefits before the insurance company starts covering you. Longevity Risk: The chance that an insurance company will have to pay out more than expected due to the policyholder living longer than anticipated. Period Certain: An option in annuities to select a specific timeframe to receive income payments. Risk Pooling: The act an insurance company takes to spread longevity risk across many accounts based off people’s chances of living longer or shorter lives. Surrender Value: The amount of money a policyholder will get if they withdrawal funds against the cash value of their insurance or annuity. These terms represent a handful of words and phrases associated with your insurance policies and annuity contracts.